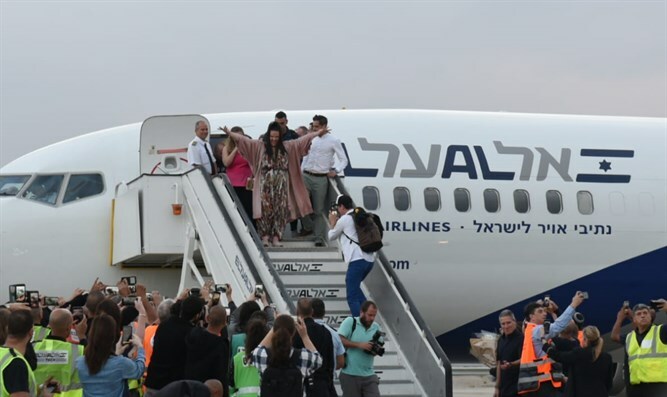 Eurovison winner Netta Barzilai returns to Israel, thanks fans for their support. 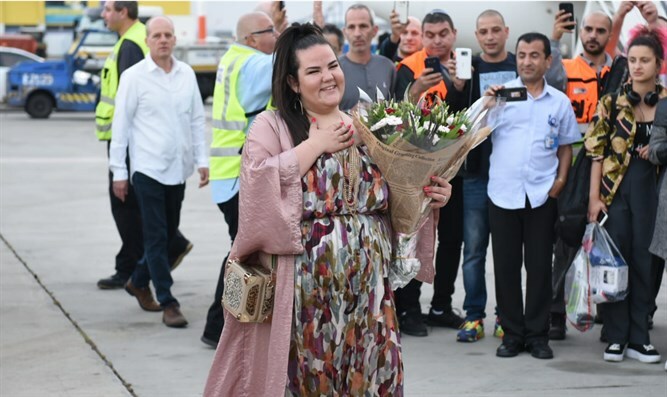 Dozens of fans greeted Eurovision winner Netta Barzilai as she landed at Tel Aviv's Ben Gurion Airport on Monday morning. Holding her trophy, Barzilai thanked the crowd and all of Israel for their support, expressing happiness at the ability to bring news of victory and emphasizing her gratitude to each member of her delegation for their part in her success. "We celebrated the entire night, we didn't sleep at all," Barzilai said. "This is a great moment for me, and for us as a delegation and a country which doesn't have too many reasons to rejoice. It makes me happy to know that we brought such a reason for happiness." Barzilai won the contest on Saturday night, with 529 points. Cyprus, the runner-up, had 436 points, while Austria came in third with 342 an Germany fourth with 340.